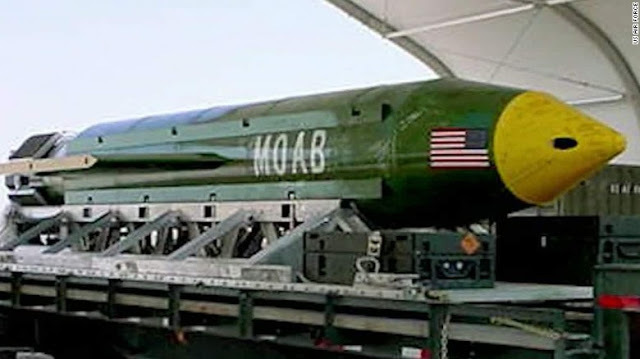 It was just recently that the United States deployed its GBU-43/B Massive Ordnance Air Blast (MOAB) weapon against alleged tunnels belonging to the Islamic State terrorist organization in Afghanistan. The strike was meant to project US strength amid an increasingly challenged and contracting "international order." However, striking a terrorist organization's tunnel complex in a country the organization did not even exist in until after the US established a presence there over 16 years ago, does not seem to project "strength" at all, but rather weakness, or perhaps even conspiracy. The growing complexity of the Afghan conflict and America's mired presence there also fails to project the sort of "strength" Washington appears intent on demonstrating worldwide. And if the use of a GBU-43/B weapon was meant to project "strength" to America's enemies, the message failed to reach Afghanistan's Taliban, who has consistently challenged, confounded and even reversed American objectives in the Central Asian state for over a decade and a half. 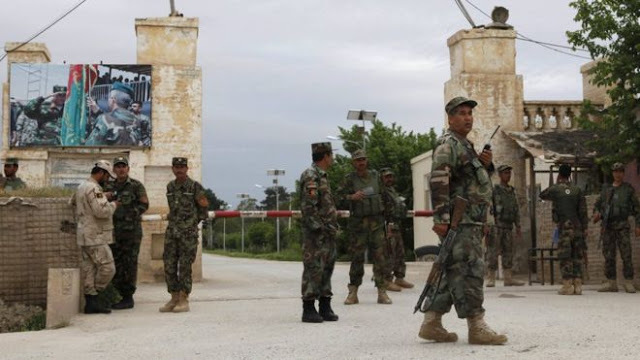 The attack along with other activities of the Taliban, then, bears the hallmarks of a deeply rooted resistance against both the US occupation and the US-backed regime and the military forces propped up to protect it both in Kabul and across the country. That the base targeted by the recent attack also reportedly garrisoned German troops is also significant. The prospect of ending such attacks or securing any sort of "victory" over the Taliban and the local tribes allied to it is as unlikely now as a US victory was in Vietnam during the 1970's. Street vendors of all kinds are facing a complete ban of their livelihood across Bangkok, the capital of Southeast Asia's Thailand. While it may appear to be a minor move falling in line with many other nations within the "developed world," the significance of it both to Bangkok, Thailand, and the rest of Asia in socioeconomic terms is indeed, major. Just like the "developed" nations the new ban seeks to emulate, it is driven not by a genuine desire to clear sidewalks, beautify the city, or enhance consumer health and safety. 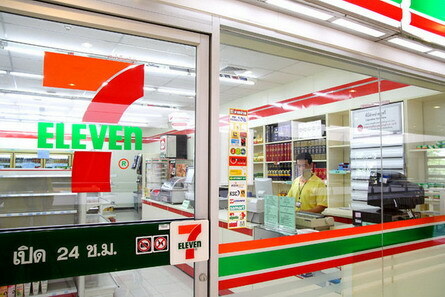 Instead, it is driven by larger corporations both foreign and domestic, and in particular, agricultural giant Charoen Pokphand Group (CP) which is connected to the massive and ever-expanding network of 7-Eleven convenience stores and Lotus retailers dotting every corner and crevice in both Bangkok and beyond. And as technology further empowers the self-employed and is already disrupting economic monopolies in the "developed world," such trends in a nation like Thailand with a sizable informal economy already stand to transform Bangkok into a regional, even global "grey market capital" and model for economic alternatives, start-ups, and other disruptive economic models springing up elsewhere around the world. While rational leaders within Thailand's government have seen this as an immense opportunity, investing in start-ups, small businesses, the leveraging of technology to empower independent entrepreneurs, other interests appear threatened by the prospect of an economy shifting decisively in favor of independent business owners who are increasingly able to compete against established monopolies across multiple industries. While the actual number of users employing disruptive technology to compete against established business monopolies is small at the moment, as solutions are employed into markets, Thailand's substantial informal economy is likely to adopt them as well. 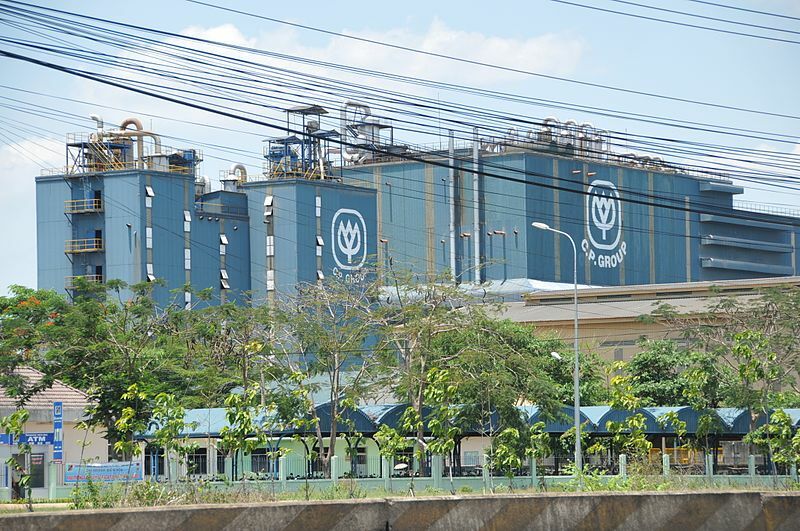 For CP executives and investors, they envision a monopoly over Thai agriculture, food, beverages, retail, telecom, and other sectors. 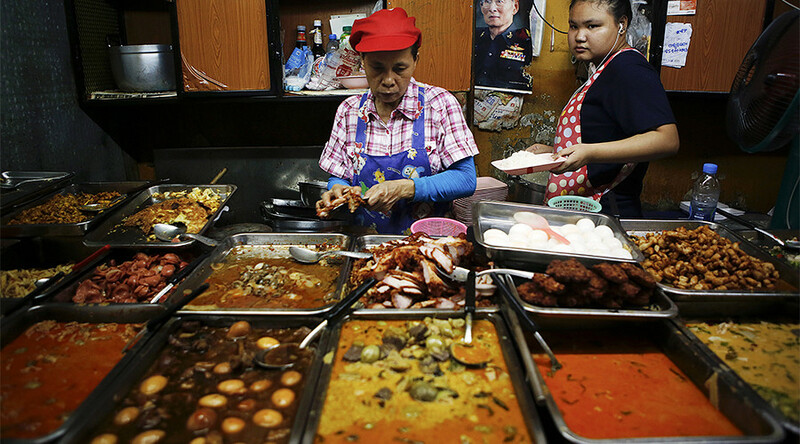 With the prospect of street vendors being swept from Bangkok's roads, CP's network of convenience stores would remain one of the remaining competitors, open 24 hours a day, and providing all the amenities currently provided for by street vendors. It is a formula of perpetual growth at the expense of all else that has given rise corporations currently populating lists of Wall Street and London's richest. However, perpetual growth shares many of the same characteristics of a natural tropism - oblivious to the future, its surroundings, or its impact on either. It simply grows until it depletes its own energy or the resources around it, then dies. Sixteen years onward and the US is no closer to its alleged goal of creating a stable Afghanistan free of terrorist organizations using its territory to stage attacks regionally and globally. Thousands of US troops still remain in Afghanistan, attempting to prop up the disorganized, immensely corrupt regime Washington installed and maintains in the nation's capital of Kabul. Entire provinces of the nation remain under the control of groups opposed to both the regime in Kabul and its American sponsors. Furthermore, Afghanistan's neighbors, including Russia, China and Iran, have attempted to broker a peace between Afghanistan's various factions, undermining America's divide and conquer strategy. However, the narrative propagated by both the US media and the government that the US is attempting to "defeat the Islamic State more speedily" is fundamentally flawed. It was the US, by its own admission, that sought the creation of a "Salafist principality" in eastern Syria, precisely where the Islamic State now resides. 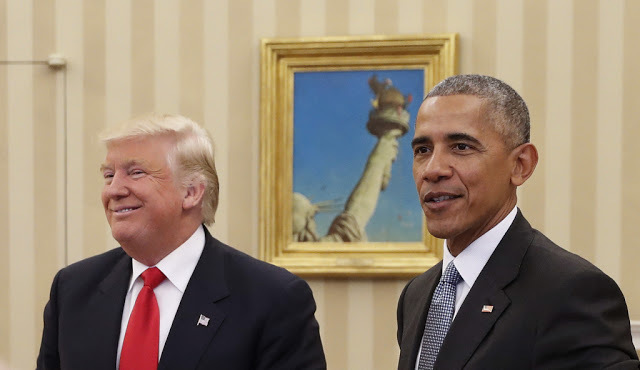 It was also admitted by the United States that its closest allies in the Persian Gulf, particularly Saudi Arabia and Qatar, constitute state sponsors of the Islamic State. 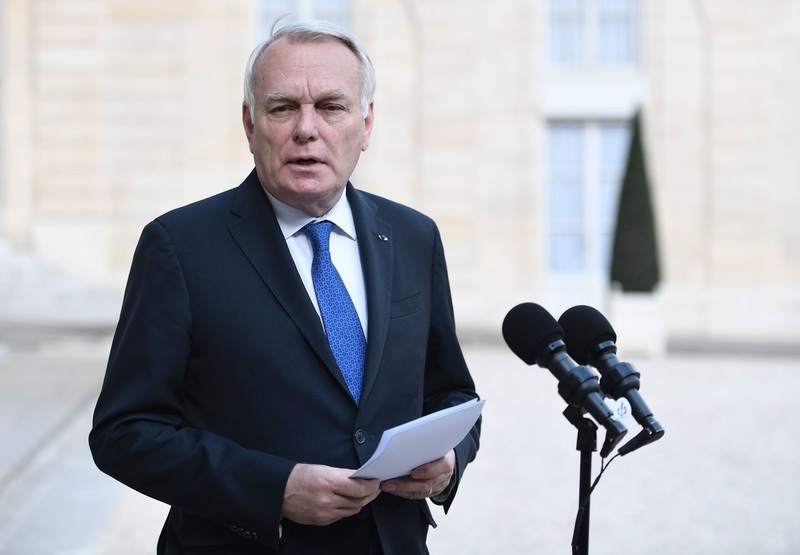 A genuine effort to defeat the Islamic State would require then, to first identify and eliminate the source of the terrorist organization's funding and fighting capacity. The US has demonstrably failed to do either, and instead continues using the terrorist organization as a pretext to maintain a global military presence to "fight" the group perpetually. Its military presence also coincidentally allows the US to continue confronting and undermining competitors seeking to establish an alternative, multipolar world order. 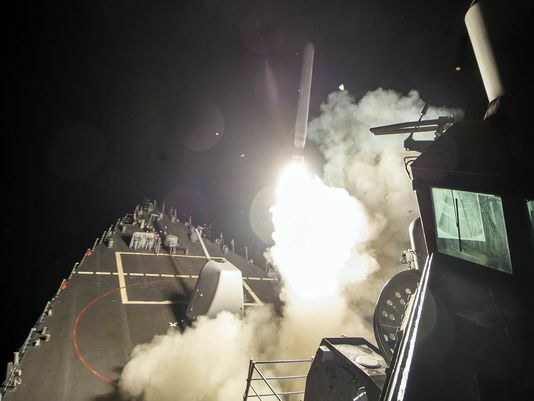 While focus regarding the Syrian conflict has shifted almost exclusively to recent US cruise missile strikes, what the strikes are designed to lay the groundwork for holds much larger implications. 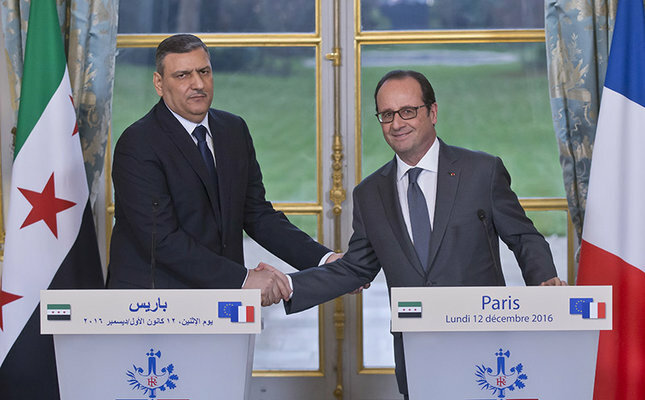 Particular attention should be focused on US forces operating both within Syrian territory and along Syria's borders. Normalizing the use of stand-off weapons like cruise missiles makes it easier and more likely that similar attacks will unfold in the near future - particularly if Syria and its allies fail to demonstrate a significant deterrence against future attacks. Punitive strikes will shift incrementally to a concerted effort to dismantle Syria's fighting capacity, inviting either US proxies to overthrow the Syrian government, or for US forces to do so directly - or likely a combination of both. Preparing for just such an escalation are not only US forces continuously expanding the scale and scope of their presence in eastern Syria and NATO-member Turkey's forces in northern Syria, but also a US-led proxy army being staged in and operated from, for years now, in Jordan. 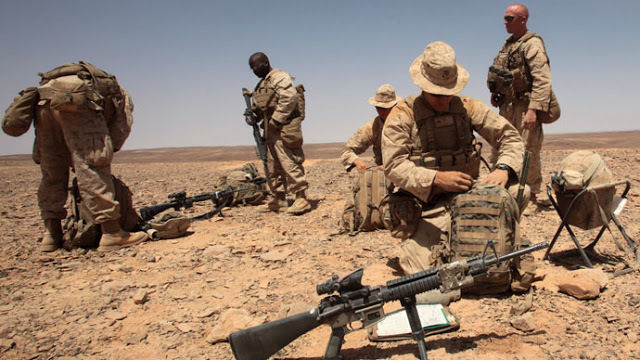 The series of setbacks hindering the creation of an "opposition army" from scratch, and even setbacks in training and effectively utilizing existing militant and terrorist groups may be why the US has also sought to create its own large and growing military presence in Jordan. 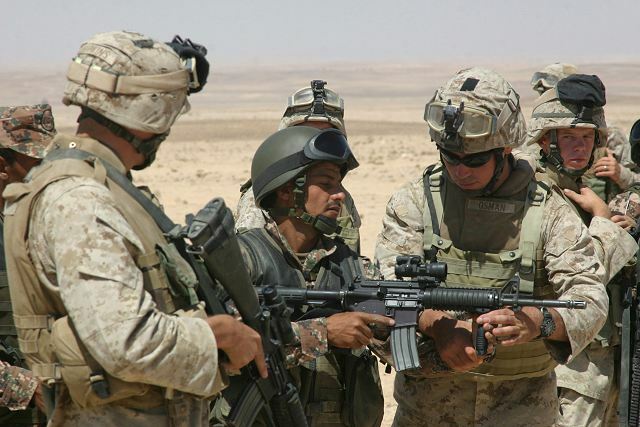 According to most estimates from across the Western media, approximately 1,000-2,000 US service members are currently stationed in Jordan. Expanding that number to 20,000 or more would surely be noticed by Syrian, Russian, and Iranian intelligence agencies. Likewise, the creation and deployment of a full-scale invasion force created by America's Persian Gulf allies or NATO-member Turkey would likewise be noticed long before having a chance to storm Syrian territory. 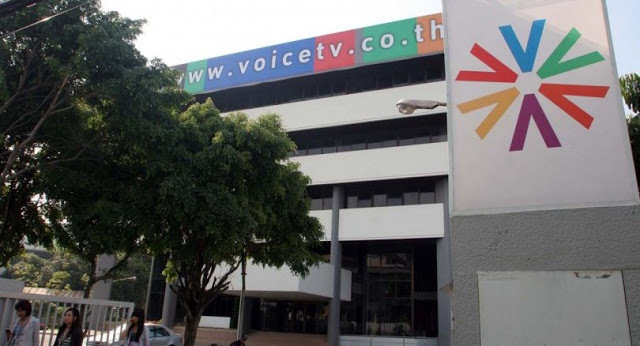 Recently, Thailand-based media platform, Voice TV, faced a seven day ban after violating licencing agreements and multiple counts of misconduct. Various articles, including those published by local English-language newspaper, The Nation, would portray the incident as a crackdown on "freedom of expression" and "media freedom." The United States finds its increasingly clumsy, circular foreign policy looping back once again to accusations of "weapons of mass destruction" being inexplicably used against a civilian population, this time in Syria's northern city of Idlib currently serving as the defacto capital of terrorist organizations including various Al Qaeda affiliates, most notably the US State Department designated foreign terrorist organization, al-Nusrah Front. 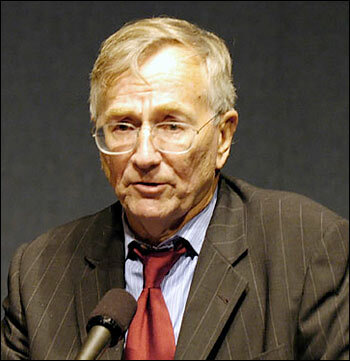 The Syrian government's use of chemical weapons, when its efforts to restore order across the nation are already successfully being executed using far more effective conventional means, and as it does so under the scrutiny of an "international order" led by the US eager to justify the direct use of US military might against Damascus would be absolutely inexplicable.